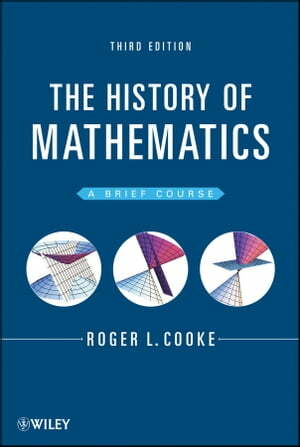 Collins Booksellers - The History of Mathematics by Roger L. Cooke, 9781118460290. Buy this book online. "An amazing assemblage of worldwide contributions in mathematics and, in addition to use as a course book, a valuable resource . . . essential." This Third Edition of The History of Mathematics examines the elementary arithmetic, geometry, and algebra of numerous cultures, tracing their usage from Mesopotamia, Egypt, Greece, India, China, and Japan all the way to Europe during the Medieval and Renaissance periods where calculus was developed.